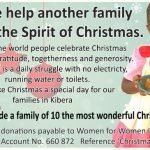 What a wonderful day that will help the children and families of Kibera enormously! 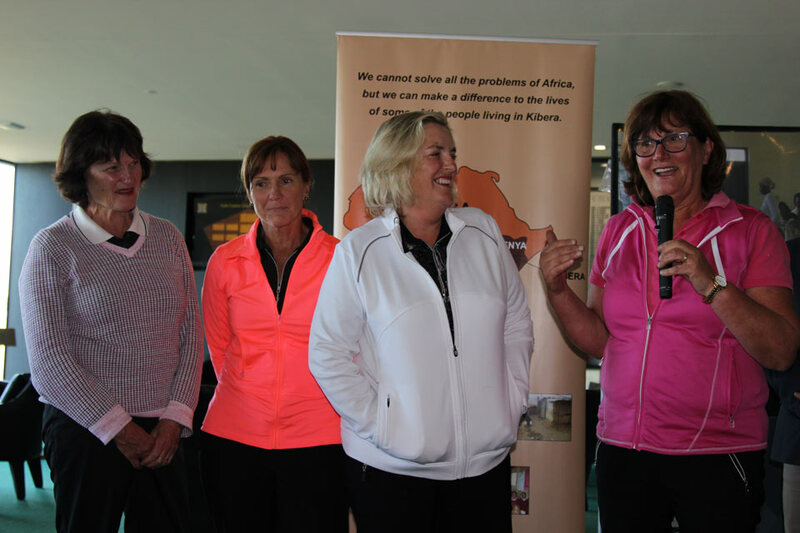 WFWIA held its 2nd annual golf day at Torquay Golf Club yesterday. 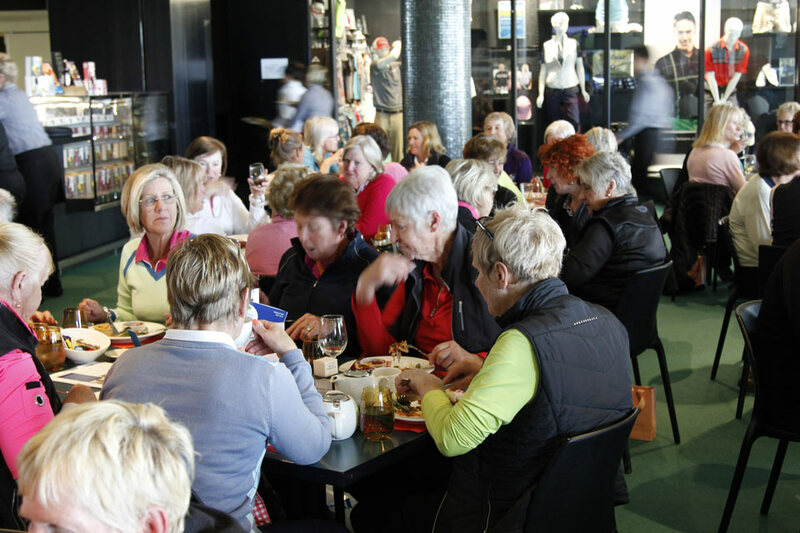 There was a full field of ladies and men playing a round of Irish 4ball. The day started in overcast conditions with strong winds, gale force at times, with even a brief shower of rain after 30 minutes. 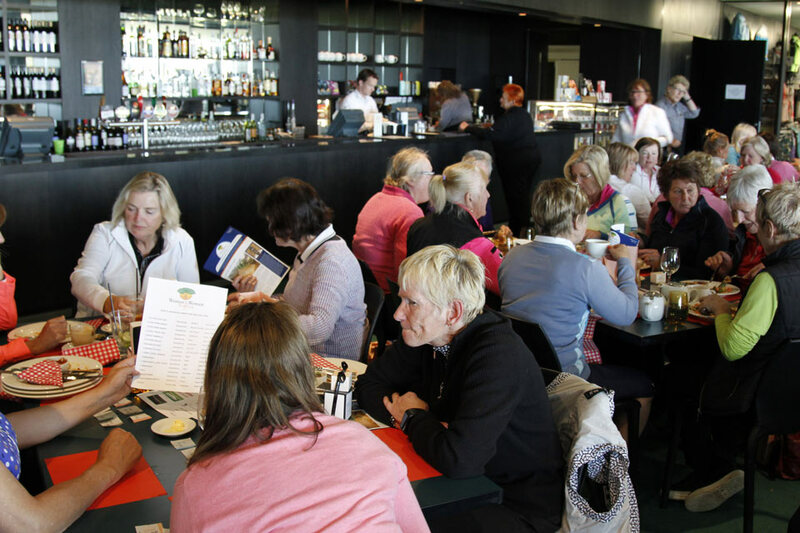 Despite the nasty weather, all players held strong and completed their round that ended with the sun peeking through. 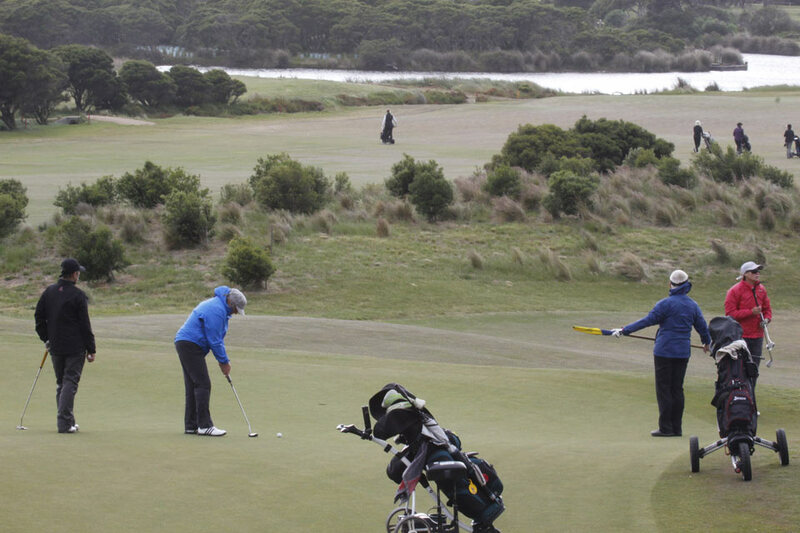 The strong and cold winds remained all day making conditions for good golf a problem. 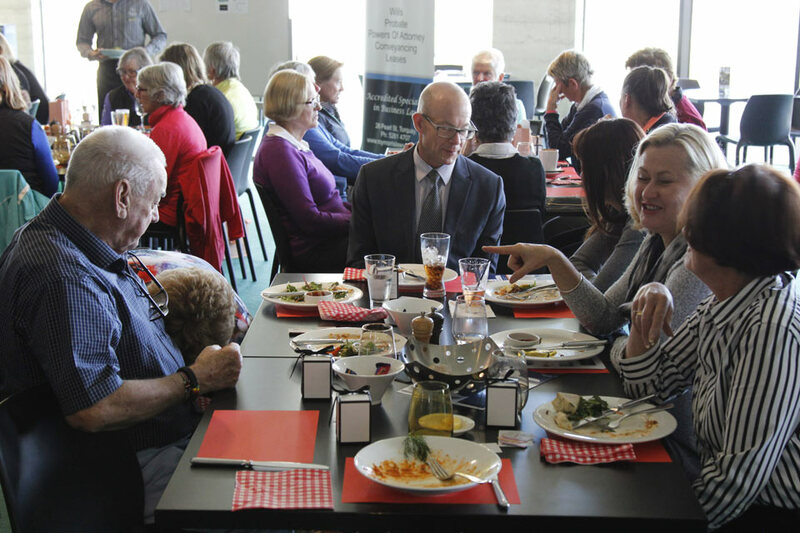 We’re sure the lovely lunch provided warmed up all the players. 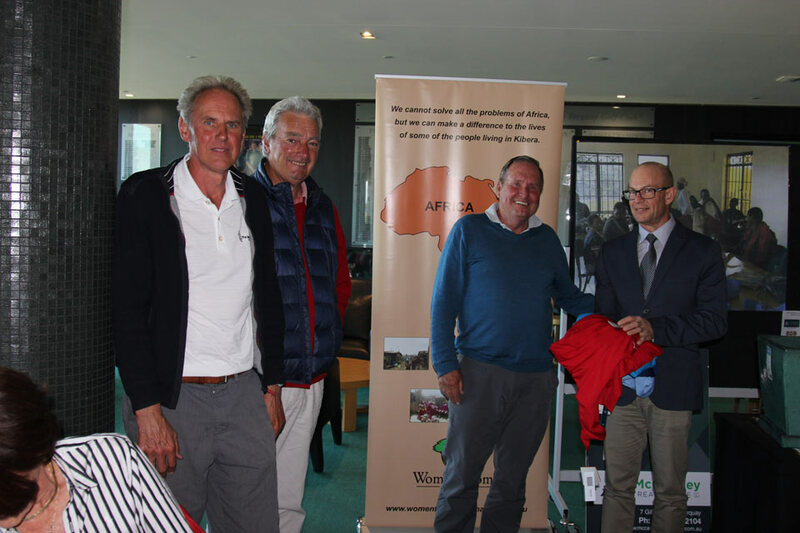 WFWIA offers our heartfelt thanks to all the generous sponsors and donors who made this day possible providing an enormous and wonderful array of golf prizes and items for the raffle. Roy Morris, a local Torquay lawyer and sponsor of the day, presented all the trophies to the many winners. Thanks Roy. A huge thank you goes to Mandy Buckley who organised all facets of this event with help from many eager assistants before and on the day. 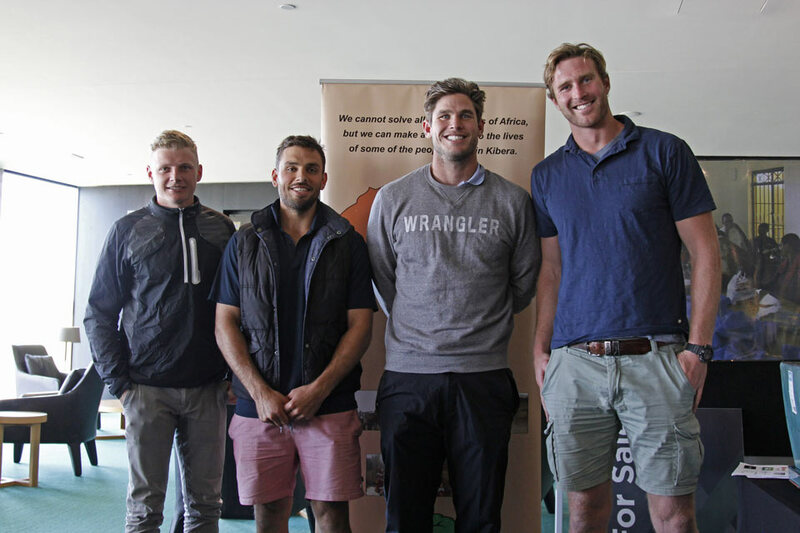 Our celebrities this year were AFL footballers organised by Dawson Simpson from the Greater Western Sydney Giants. 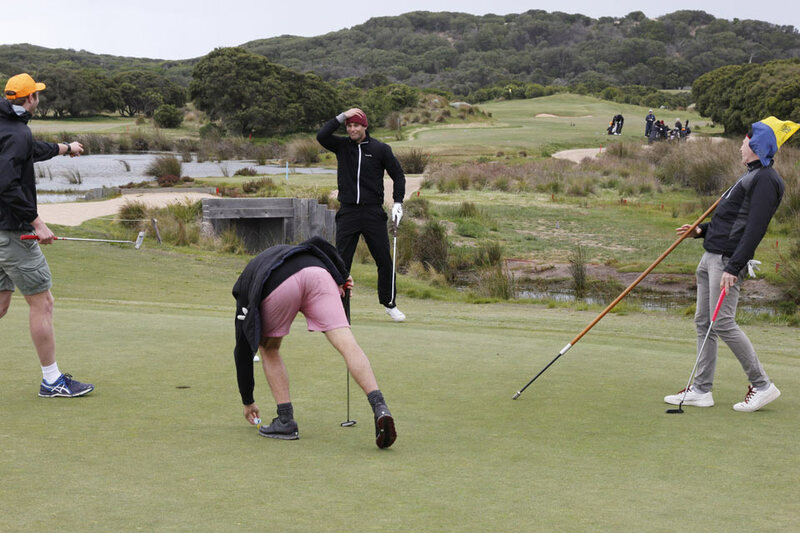 He brought along his friends, Tom Hawkins from Geelong, and Taylor Hunt and Sam Lloyd from Richmond. Mandy interviewed Dawson. The height difference between an AFL ruckman to poor Mandy was a comical problem. Although the contrast created many laughs in the gallery, we hope Mandy didn’t get a sore neck looking upwards! Dawson then interviewed his fellow players who all provided some personal insights about the game and themselves. 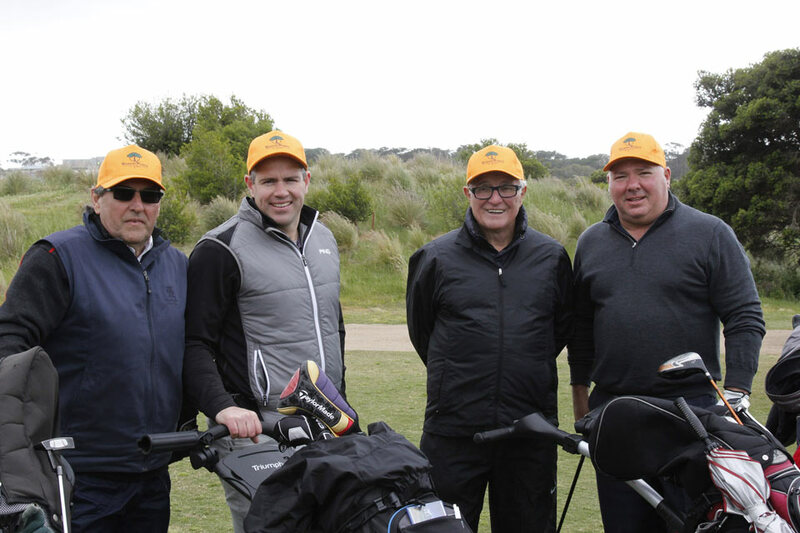 Afterwards the posed with many of the golfers who were eager to have a selfie with their club’s stars. 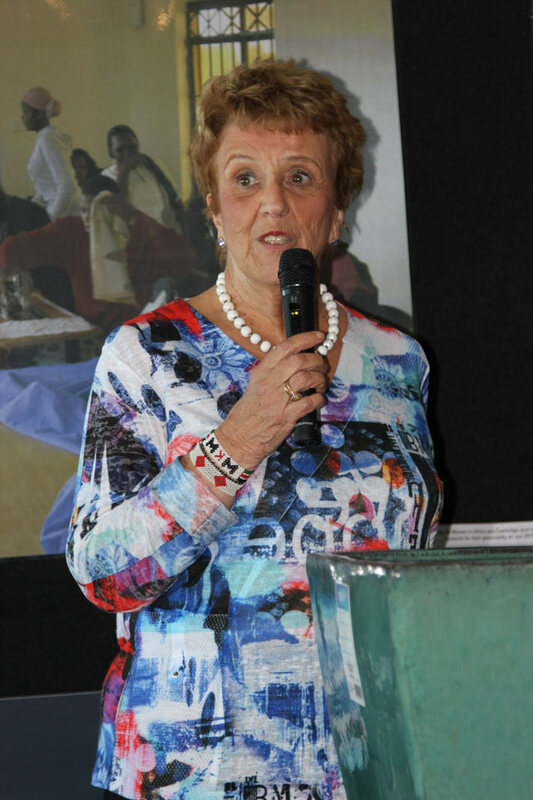 The chairwoman of WFWIA, Marguerite Ryan, talked about what WFWIA does in Kibera. 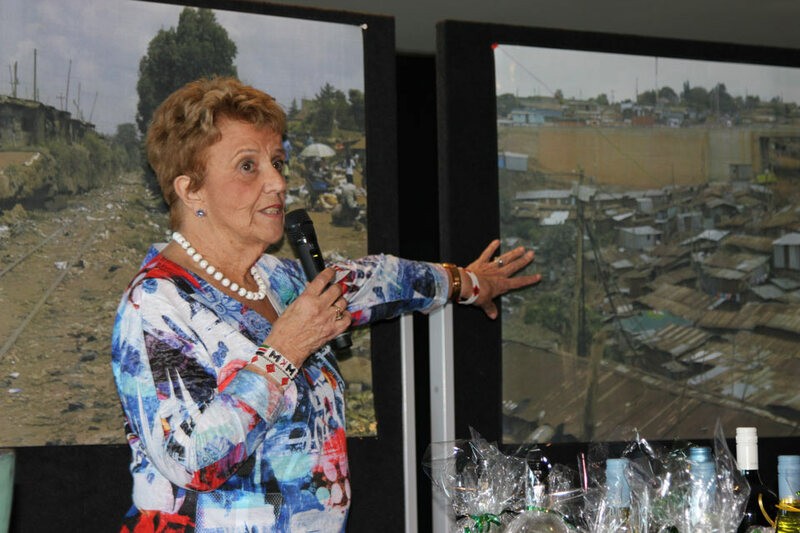 She described how the people live and the appalling conditions they face daily. She spoke about our ‘Aim to reduce poverty by Education’ and our Education Sponsorship program. 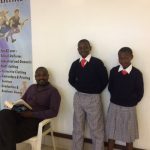 This was obviously well received because we now have another 2 children sponsored which enables them to go to school in 2017. Thanks to those ladies concerned. The major winners on the day are the children of Kibera. All proceeds from the day will go towards educating young children who otherwise would never receive a decent education. Education is the key to relieving poverty. 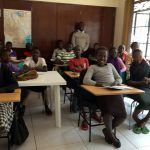 The more children that WFWIA educates eventually gives many whole families an opportunity to get out of the slums of Kibera and to lead lives enriched by education and job opportunities. 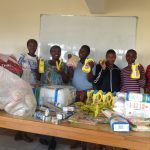 Women For Women In Africa believes the best way to relieve poverty is through education.